Using alphabet manipulatives like these is a great way to get to know letters. They provide a useful visual reference for children, and are cute and fun to play with. Swapping your resources to match the themes of the year keeps things fresh and interesting for children – calling their attention back to the materials with renewed interest. 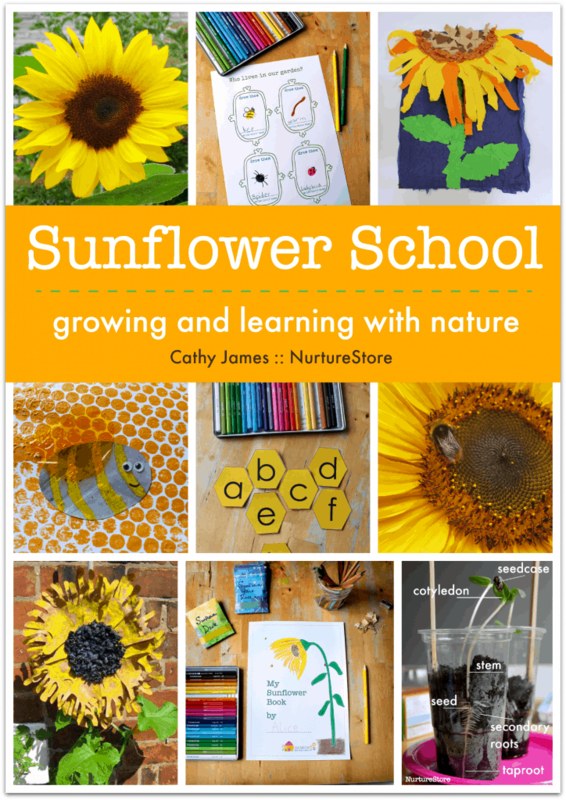 These honeycomb letters are part of our complete resource of lessons plans about bees and growing sunflowers. 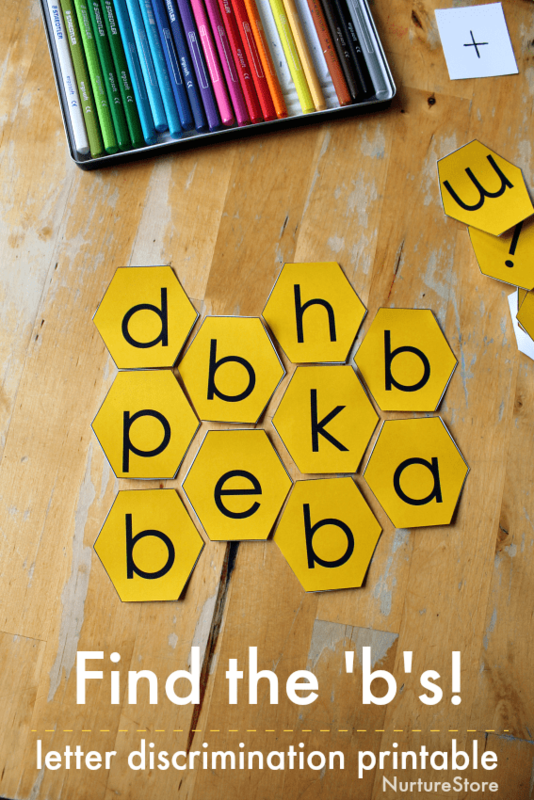 The honeycomb letters, along with the activity ideas I’ll share with you, keep literacy learning hands-on, multi-sensory and encourage children to use all their senses as they play and learn. 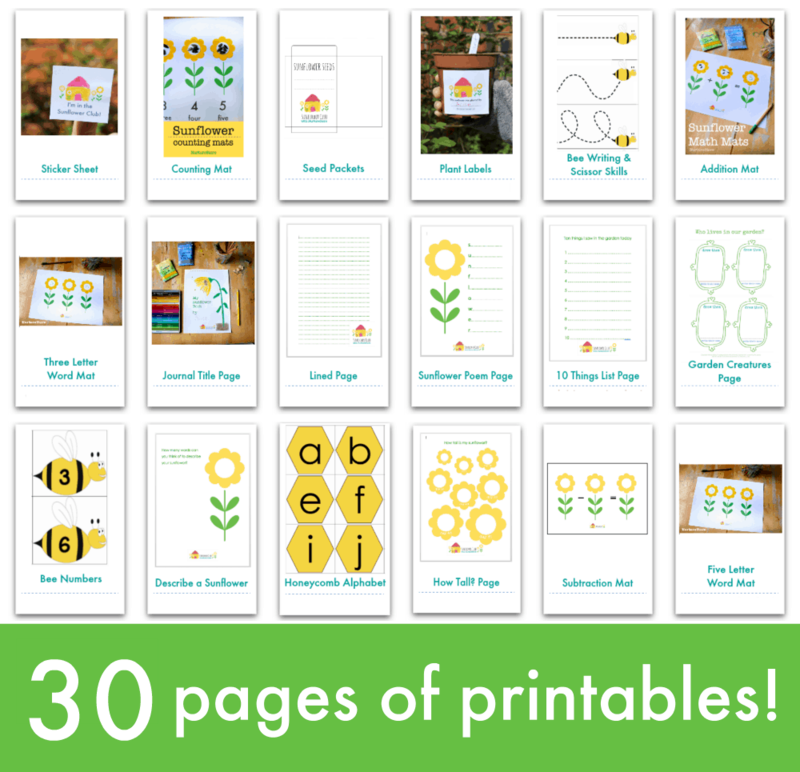 You can print them onto card, cut them out, and play. You can laminate them for extra durability if you like. 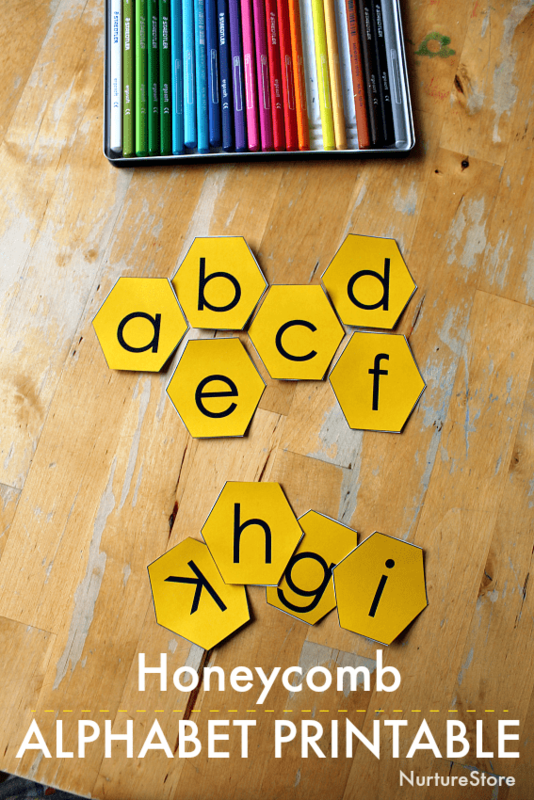 :: Use the honeycomb letters to play matching games. Print two sets and see if you can match up pairs of letters. 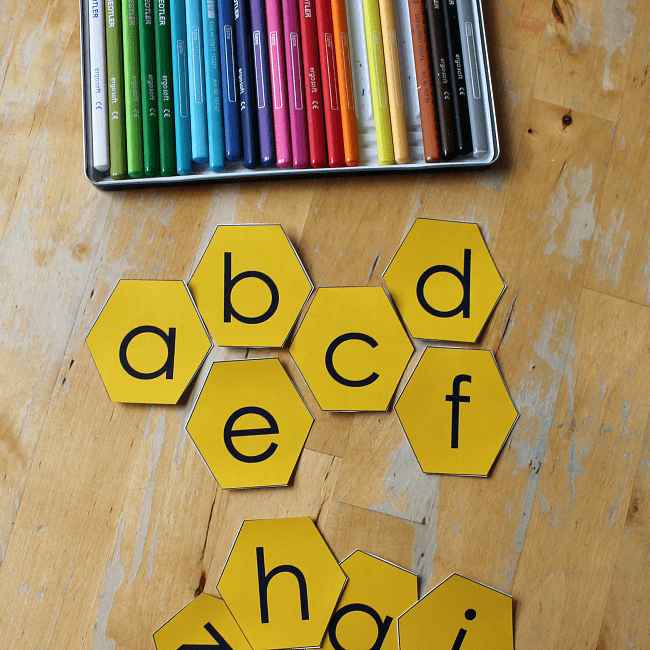 :: Place two sets of the honeycomb letters face down and use them to play Memory. :: There are extra honeycomb cards with the letter ‘b’ on them, included in the pack. You can use these as a visual discrimination activity. Lay out the letter cards like a hive, including the extra ‘b’ cards. Can your child hunt out all the ‘b’s? Shuffle the cards and lay them out again and see if you can find them even faster this time. This kind of activity where you need to locate one particular feature (in this case the letter b) helps children learn to discriminate visually – looking carefully, accurately, and quickly for a particular item. It’s an important early literacy skill and this game will help your child hone their skills while having fun.